Wonderful post from Brainpickings.org-- go read the whole thing! “There is an ugliness in being paid for work one does not like,” Anaïs Nin wrote in her diary in 1941. Indeed, finding a sense of purpose and doing what makes the heart sing is one of the greatest human aspirations — and yet too many people remain caught in the hamster wheel of unfulfilling work. 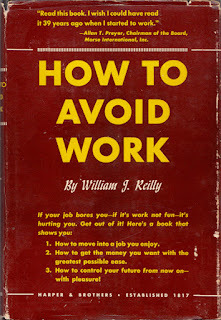 In 1949, career counselor William J. Reilly penned How To Avoid Work (UK; public library) — a short guide to finding your purpose and doing what you love. 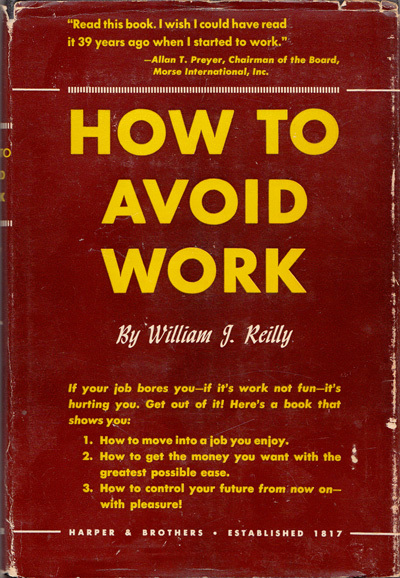 Despite the occasional vintage self-helpism of the tone, the book is remarkable for many reasons — written at the dawn of the American corporate era and the golden age of the housewife, it not only encouraged people of all ages to pursue their passions over conventional, safe occupations, but it also spoke to both men and women with equal regard. Veuve, this is great! 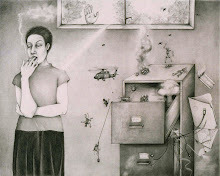 Thanks for posting it; both this post and brainpickings are excellent! Also I had Cheap Chic too!! Weren't there photos & commentary on or about Lauren Hutton in it? And I, too, had a french smock like the one you bought; I even sewed 1 or 2. I'd like to try sewing another now with a printed fabric as the shape is so practical.